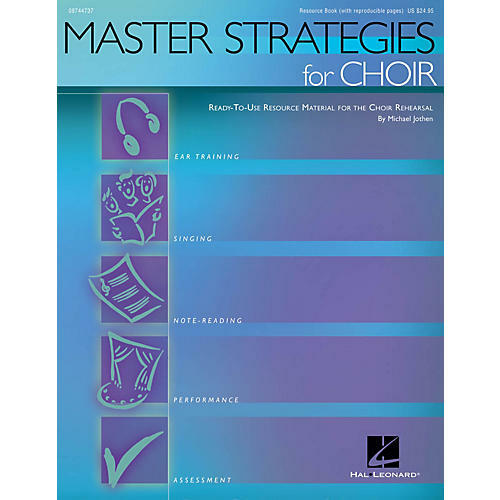 MASTER STRATEGIES FOR CHOIR presents over 70 ready-to-use reproducible rubrics and activities for the choral rehearsal, grades 6-12. It is organized into three areas: 1) choir as a sound laboratory covering choral techniques; 2) choir as a rehearsal-classroom addressing history, style and theory; and 3) choir as a concert venue addressing concert etiquette and assessment. Add variety to your choral rehearsal with this new resource. Available: Resource Book (with reproducible activity pages). For Gr. 6-12.